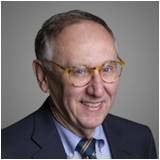 Jack Dangermond known as the pioneer in the field of geospatial technologies is the founder of Esri, global leader in GIS solutions. Jack has been the mentor and motivator behind CyberTech's growth in geospatial technologies since 1999. Jack regularly guides CyberTech's GIS leaders in shaping next-generation solutions on location analytics. IITs are globally recognized as the powerhouse of research and innovation. India today, is at the cusp of rapid development and IITs play a very vital role in shaping the technology landscape of the country. Several academia from IIT, mentor CyberTech in solving intricate local problems through conceptualization of Smart Cities, use of IoT, cloud & analytics. Senior IITians are part of CyberTech advisory for technology innovation and shaping the future of CyberTech products. Vish Tadimety and the management team are focused on building CyberTech into a Spatial Analytics powerhouse. Vish is the CEO and co-founder of CyberTech. In 2000, Vish & Steve Jeske co-founded Corliant with seed Capital from Cisco Systems and partner venture capital funds. Corliant designed next generation IP networks for the Telecomm and Enterprise clients. 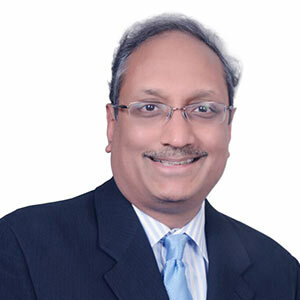 In 2007, Accenture acquired Corliant and Vish was named Global Managing Director for Cisco Solutions Unit at Accenture. Vish has since returned to CyberTech as the CEO. Vish has extensive experience as a turnaround specialist, raising capital from the public markets, strategic partners and venture funds. Vish holds an advanced degree in Electrical Engineering from the Indian Institute of Technology, Madras, India. 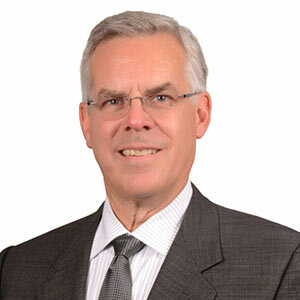 Steven Jeske is the Chief Financial Officer of CyberTech since 1999. He has been involved in strategy and financing decisions, including building several promising technology practice areas such as Internetworking and Geospatial Solutions to substantial size and scale. He has also set up and managed several international locations in Europe, Asia, Latin America and Japan. In 2000, Vish and Steve co-founded Corliant with seed capital from Cisco and several venture capital funds. Corliant designed next generation IP networks for Telecomm and Enterprise clients. In 2007, Corliant was sold to Accenture where it became a core piece of their Cisco internetworking strategy. Steve is a serial entrepreneur having been involved in the formation, financing and growth of several high profile start-ups. He is a CPA, former manager at PWC and holds an undergraduate degree in accounting from the University of Illinois and a Masters of Business Administration degree from the University of Chicago. Raman has a vast experience of 25 years. Raman is heading the global operations for Accounting at CyberTech and is involved in the areas of Strategic planning, budgeting forecasting and Taxation. In his current role he is also responsible for bringing important financial controls in CyberTech. He has been a key member of the management team and has helped various areas such as Implementation and integration of accounting systems, financial management reporting and analysis. His experience has been used to streamline CyberTech accounting policies, procedures, strengthen controls and facilitated relationships with in CyberTech auditors, bankers, lawyers, and consultants. Pankaj Srivastava is the Senior Vice President of Software and Platforms, and the CTO of CyberTech. In this role, Pankaj is focused on transformation and development of CyberTech’s Spatial Analytics and IoT platform. He has 25 years of rich experience in product engineering leadership with innovative software engineering groups, software platform products and internet start-ups. 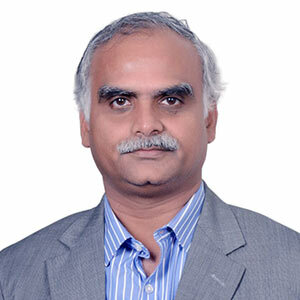 Pankaj is an expert in the areas of Application Infrastructure, SOA and Micro services, IoT, Middleware and Enterprise Applications, Video-based applications, and Cloud Applications and Platforms. He has also been a part of several start-ups focused on internet products and solutions that were driving content and e-commerce solutions for AI-based trading systems and online CRM systems. 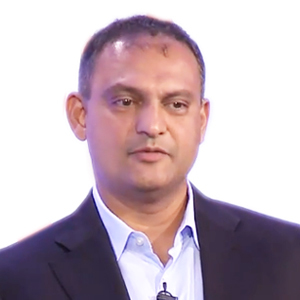 Prior to joining CyberTech, Pankaj was the VP of Engineering and GM of Cisco’s Software Platforms Group, creating next-generation applications, cloud platforms and software systems integrated with network infrastructure. Pankaj holds a Computer Science B.Sc. from Massachusetts Institute of Technology (M.I.T) with a minor in Economics. Dr. Sarda has extensive experience as the Professor-in-Charge of Innovation and Entrepreneurship at IIT Bombay. In this role, he coordinated with the Society for Innovation and Entrepreneurship (SINE) and actively facilitated IITB's faculty and students to convert intellectual property developed by them into business ventures. Mr. Shreepad Karmalkar is a Professor of Electrical Engineering at IITM. He received the B.Tech and accelerated Ph.D degrees in Electrical Engineering from the Indian Institute of Technology Madras (IITM), in 1983 and 1989, respectively. He has held visiting research / teaching assignments at several US universities, namely, University of California, Santa Barbara; Rensselaer Polytechnic Institute, Troy, New York; and University of South Carolina, Columbia, USA. Ms. Amogha Tadimety is a PhD Candidate in Biomedical Engineering and Innovation at the Thayer School of Engineering at Dartmouth College, NH, USA. She graduated from Princeton University in 2014 with a B.S.E. in Chemical and Biological Engineering. Amogha has worked at some leading research institutions at Harvard and Oxford University, and has industry experience in financial services at IDFC in Mumbai and Novantas in NYC. Ms. Wilcox is a trademark counsel, practicing in Illinois, United States of America. She began her career with the Vanek Intellectual Property Group in 1999 and has served as the Managing Partner of the firm’s Trademark and Copyright Group since 2004. For more than 15 years, Ms. Wilcox has provided trademark and copyright counsel to her clients in areas such as brand and corporate name research, acquisition, prosecution, protection and litigation. Mr. Joshi is Ex-Treasurer of HDFC Bank and Chairman of the Money Market and Derivatives Association of India. Leading Indian Solicitor – M&A and Corporate Affairs, Partner in Bharucha & Partner, Mumbai, Solicitor Supreme Court of England and Wales, Solicitor High Court of Hong Kong. Mr. Bharucha was one of the founding partners of Amarchand & Mangaldas, a leading Indian Law Firm, in 1995 and founded Bharucha & Partners in 2008. He has been relied on as an Indian law expert in cases in England, USA and Singapore by global firms worldwide.